Traditional real estate brokers have been largely male and over 50 years old. Over the last couple of years, that is beginning to shift. More women are joining the ranks of commercial brokerages and they are around six years younger than traditional brokers and agents according to the NAR’s 2015 Commercial Member Profile report. Like technology adoption, the fact that CRE has been dominated by Boomers means that there are still traditional brokers using their Rolodexes to manage contacts. Expect to see the new younger faces of commercial real estate to bring with them the efficiencies and advantages of CRM technology – causing traditional agents and brokers to roll-back their Rolodex and start utilizing advanced CRM tools. Most other businesses have long moved beyond the Rolodex. It was high tech back in the 50’s when being able to roll through hundreds of contacts and get their handwritten or typed contact information was advanced. Bird’s-Eye-View into the Deal Pipeline – Manage every aspect of your deal pipeline from 30K feet (what deals are in what stage). Upload all documents directly to a CRE Database with complete comps details. Create Digital Call Lists and Follow-Up Reminders – Rolodexes can’t be shared or organized to send alerts and reminders in a call log automatically. CRMProspect Management can be programmed to create custom call lists, filter contacts, automatically schedule follow-ups and more from a single interface. 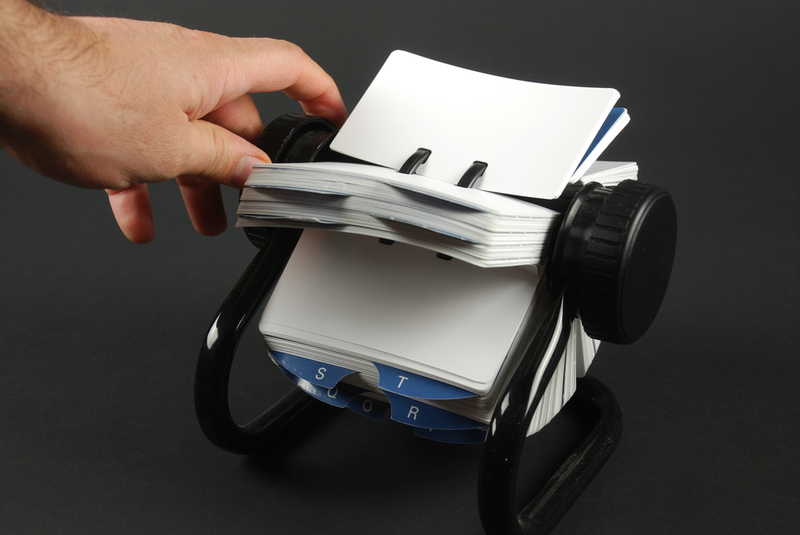 Automate Many Different Tasks – Searching through hundreds of paper contacts on a wheel cannot do automated tasks. Top CRM handles Back Office tasks like reconciliations, receipt and expense tracking and reporting, commission calculations, and creating and sending invoices. Predictive and Real-Time Reporting and Analytics – Cards on a Rolodex wheel were too small to contain all of the information needed for real-time reporting and analysis let alone predictive analysis. Modern brokers use advanced Reporting & Dashboards to get market insights, forecast commissions, discover trends, and generate reports. They also require mobile access to their CRM platform and database. Share and Collaborate with Colleagues Virtually – Collaboration and document sharing are crucial ingredients for the modern brokerage to maintain productivity and efficiency – something that could not be accomplished using a Rolodex. Now brokers can find prospects, send personalized emails to groups and contacts, and create custom templates and brochures from one CRM platform. 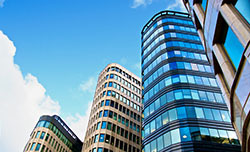 Commercial real estate brokers of all sizes are benefiting from big data. That industry alone grew from a $10 billion industry in 2016 to a $50+ billion industry in just one year. However, most of these new technologies have a problem – they don’t work together and are being pieced together in a haphazard or inefficient way, eliminating the inherent benefits. Smart CRE can increase sales and customer loyalty exponentially. A strategy has to be deployed for CRM to harness all of the detailed insights that big data, the IoT, and AI are providing agents and brokers. In every sector, technology is improving business and CRM is at the heart of its success. According to a study by Nucleus Research, for every dollar invested in CRM, there is at least a $5.60 return on that investment up to $8.71. Streamline the on-boarding process while integrating the most advanced CRM with any legacy system or network of random apps and platforms. Request a demo now.